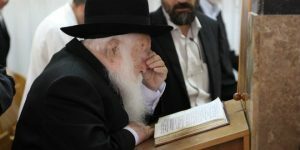 Israel Chief Rabbi Yitzhak Yosef called black people “monkeys” during his weekly sermon. 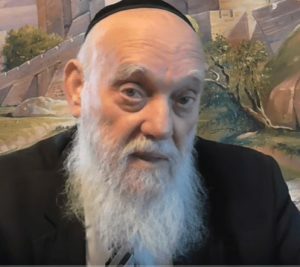 Israeli press reported today that Israel’s chief (Sephardic) rabbi Yitzhak Yosef called black people “monkeys” during his weekly sermon. In fact, we should thank the rabbi rather than condemning him. The grossly offensive statement he made yesterday puts Israeli current attitude towards African refugees in a historical, religious and cultural context. If you want to understand the Jewish State you better dig into the ‘J word’ and understand the complex relationships between Jews, Judaism and Jewishness. GA: If Zionism was intially all about the ‘promised land’, Neoconservatism stands for the shift towards a ‘promised planet.’ How do we bridge the gap between the nationalistic aspiration and the globalist agenda? From Yahweh to Zion by Laurent Guyénot offers some interesting answers. Guyénot doesn’t attempt to tell us what Yahweh is but instead what the notion of Yahweh represents within the contexts of Judaism, jewish culture, Jewish politics and Jewish identification. Guyénot’s offers a very important contribution. I hope that is books are made of fire resistant materials. This great weakness is, of course, a great strength, and so is the ambiguity of Jewishness. It has served Israel—a secular “Jewish state”— very well. Theodor Herzl thought of Zionism on the model of European nationalistic movements, lobbying for the right of the Jews to become a nation among nations. But everyone can see now that Israel is no ordinary nation. It never was and never will be. It is the paradoxical nation. Part of the ambiguity comes from the very name Israel, which already had a twofold meaning before 1948: it referred to an ancient kingdom supposedly founded in the first millennium BCE, and destroyed by the Romans in the first century CE. But for the following two thousand years, Israel was also a common designation for the Jewish community worldwide, “international Jewry” as some call it. That was the meaning of “Israel”, for example, when the British Daily Express of March 24, 1933 printed on its front page: “The whole of Israel throughout the world is united in declaring an economic and financial war on Germany.” The members of Israel were then called Israelites interchangeably with Jews. Although quite contradictory in terms, the two notions (national Israel and international Israel) have been conflated by the 1948 Law of Return, which made every Israelite of the globe a virtual Israeli. Today, Zionism has shifted into a kind of meta-Zionism where the greatest number of the Israeli elite—including individuals with no stamped Israeli citizenship but a profound loyalty to the Jewish state—reside outside Israel. Some of them hold key positions in state administrations, particularly in the United States. As Gilad Atzmon remarks, “there is no geographical center to the Zionist endeavor. It is hard to determine where Zionist decisions are made”; “the Israelis colonize Palestine and the Jewish Diaspora is there to mobilize lobbies by recruiting international support.” The neoconservatives—“an intellectual movement in America to whose invention Jews can lay sole claim,” as correctly assessed the Jewish Daily Forward — are the most influential group of Diaspora Jews dedicated to Israel. They are no conservatives in the traditional sense, but rather crypto-Likudniks posturing as American patriots in order to align US foreign and military policies with the Greater Israel agenda—high-level sayanim, so to speak (read John Mearsheimer and Stephen Walt, The Israel Lobby and U.S. Foreign Policy, 2008). How do they both affirm and transcend nationalism? The biblical way. The Hebrew Bible, the Tanakh, is the unalterable prototype of Jewish history: everything that follows the fall of the Hasmonean kingdom has to be biblical—the Holocaust, for example. Inevitably, Jewish nationalism, or patriotic love for Israel, resonates with the destiny of Israel as outlined in the Bible: “Yahweh your God will raise you higher than every other nation in the world” (Deuteronomy 28:1). Every nation is a narration, and Israel’s narrative pattern is cast into the Hebrew Bible. To love Israel is to love Israel’s biblical story, no matter of how mythical it is. And through biblical prophecy, the vision of the past becomes the vision the future: Solomon’s empire will come to pass. That is why Zionism was never an ordinary form of nationalism, nor can Israel ever be a “nation like others.” The paradoxical nature of Israel is best embodied by its founding father Ben-Gurion: a secular Jew who saw himself as a new Joshua, hoped for “the restoration of the kingdom of David and Solomon,” and prophesized that Jerusalem will be “the seat of the Supreme Court of Mankind, to settle all controversies among the federated continents, as prophesied by Isaiah.”Let us be fair and assume that Ben-Gurion was simply referring to Isaiah’s prophecy that “the Law will issue from Zion” and that Yahweh will “judge between the nations and arbitrate between many peoples” (2:3-4), not to the Second Isaiah’s prophecy that Israel “will feed on the wealth of nations” (61:6), and that nations who do not serve Israel “will be utterly destroyed” (60:12). Ben-Gurion’s vision lives on: a 2003 “Jerusalem Summit” attended by three acting Israeli ministers including Benjamin Netanyahu and many American neoconservatives including Richard Perle, affirmed that “one of the objectives of Israel’s divinely-inspired rebirth is to make it the center of the new unity of the nations, which will lead to an era of peace and prosperity, foretold by the Prophets.” Zionists have always been in love with the Bible. Such are the geopolitical implications of the Jewish paradox: Zionism cannot be a mere nationalistic aspiration, as long as it claims to be Jewish, for “Jewish” means “biblical”. And more than two thousand years ago, the ancient prophets had bent over the cradle of Israel to predestine it as “a nation above other nations.” Israel carries in its biblical genes the plan for a world order headquartered in Jerusalem. I’m not talking about a secret conspiracy here: the Jewish plan to rule the world has been plainly outlined in the global bestseller for more than two thousand years. If most people in the Christian world don’t see it, it is because it is right under their nose. Christians claim that the Jews don’t read their Bible correctly, or that they got their Zionism from the Talmud or the Kabbalah. Both claims are pitiful attempts to exonerate the Old Testament from the Zionist catastrophe: the Hebrew Bible was written by Jews for the Jews, and I have never heard a Zionist quote the Talmud or the Kabbalah, whereas they quote the Bible every day. “Yahweh, the God of Heaven, has given me all the kingdoms of the earth and has appointed me to build him a Temple in Jerusalem, in Judah. […] Let [every Jew] go up to Jerusalem, in Judah, and build the Temple of Yahweh, the God of Israel, who is the God in Jerusalem” (Ezra 1:2–3). Here Cyrus speaks in the name of “the God of Heaven” while authorizing the Judean exiles to build a temple to “the God of Israel […] the God in Jerusalem.” We understand that both phrases refer to the same God, called Yahweh in both instances, but the duality is significant. It is repeated in the Persian edict authorizing the second wave of return. It is now Artaxerxes, “king of kings,” who switches from the “God of Heaven” to “your God” or “the God of Israel who resides in Jerusalem” when addressing Ezra (7:12–15). The phrase “God of Heaven” appears one more time in the book of Ezra, and that is again in the edict of another Persian king: Darius confirms Cyrus’s edict and recommends that the Israelites “may offer sacrifices acceptable to the God of Heaven and pray for the life of the [Persian] king and his sons” (6:10). Elsewhere the book of Ezra only refers to the “God of Israel” (four times), “Yahweh, the God of your fathers” (once), and “our God” (ten times). In other words, according to the author of the book of Ezra, only the kings of Persia see Yahweh as “the God of Heaven” (a fiction, of course: for Persians, the God of Heaven meant Ahura Mazda) while for the Jews he is primarily the “God of Israel”. That is the deepest secret of Judaism, and the key to Jews’ relationship to universalism and to the nations: success rests on their ability to make Gentiles believe that the national god of Israel residing in the Jerusalem Temple is the God of Heaven who happens to have a preference for Israel. The misunderstanding led to a public scandal in 167 CE, when the Hellenistic emperor Antiochos IV dedicated the temple in Jerusalem to Zeus Olympios, the supreme God. He was simply expressing the idea that Yahweh and Zeus were two names for the supreme cosmic God, the Heavenly father of all mankind. But the Jewish Maccabees who led the rebellion against him knew better: Yahweh may be the Supreme God, but He is Jewish. Only Jews are intimate with Him, and any way the Pagans worship Him is an abomination. So is Yahweh God, or just the god of Israel? Why should we care? Well, let’s call it the Feuerbachan approach to the Jewish question. In his famous work The Essence of Christianity(1841), which was to influence greatly Karl Marx, Ludwig Feuerbach sees the universal God as “the deified and objectified spiritual essence of man”: theology is anthropology in disguise, and “The consciousness of God is the self-consciousness of man.” But if we regard the biblical Yahweh as a creation of Jews alone, rather than humanity at large, then we can consider him as a personification of the national character of the Jewish people—or, more correctly, a reflexion of the mentality of the Jewish elite who invented Yahweh. It is known to biblical scholars that, in the oldest strata of the Bible, Yahweh appears as a national, ethnic god, not the supreme God of the Universe. “For all peoples go forward, each in the name of its god, while we go forward in the name of Yahweh our god for ever and ever” (Micah 4:5). “I am the god of your ancestors,” Yahweh says to Moses (Exodus 3:6), who is then mandated to declare to his people, “Yahweh, the god of your ancestors, has appeared to me,” urging them to talk to Pharaoh in the name of “Yahweh, the god of the Hebrews” (3:16–18). The Hebrews chant after the miracle of the Red Sea engulfing Pharaoh and his army, “Yahweh, who is like you, majestic in sanctity, among the gods?” (15:11). And in Canaan, a Hebrew chief declares to an enemy king: “Will you not keep as your possession whatever Chemosh, your god, has given you? And, just the same, we shall keep as ours whatever Yahweh our god has given us, to inherit from those who were before us!” (Judges 11:24). In all these verses, Yahweh is an ethnic or national god among others. What sets him apart from other tribal gods of his kind is possessive exclusivism: “You shall have no other gods to rival me” (Exodus 20:3); “I shall set you apart from all these peoples, for you to be mine” (Leviticus 20:26). This is the justification for strict endogamy: it is forbidden to marry one’s children to a non-Jew, “for your son would be seduced from following me into serving other gods” (Deuteronomy 7:4). Yahweh is known as “the Jealous One” (Exodus 20:5 and 34:14; Deuteronomy 4:24, 5:9, and 6:15). But jealousy is an euphemism for outright sociopathy, because what Yahweh demands from his people is not just exclusivity of worship, but the destruction of their neighbors’ shrines: “Tear down their altars, smash their standing-stones, cut down their sacred poles and burn their idols” (Deuteronomy 7:5). Judean kings are judged on the unique criterion of their obedience to that precept. Hezekiah, whose disastrous policy of confrontation with Assyria led to a shrinking of the country, is praised for having done “what Yahweh regards as right,” namely abolishing the “high places” (2 Kings 18:3–4). His son Manasseh, whose 50-year reign is known to historians as a time of peace and prosperity, is blamed for having done “what is displeasing to Yahweh, copying the disgusting practices of the nations whom Yahweh had dispossessed for the Israelites” (2 Kings 21:2). Manasseh’s son Amon is no better. Josiah, on the other hand, proved worthy of his great-great-grandfather Hezekiah, by removing from the temple “all the cult objects which had been made for Baal, Asherah and the whole array of heaven. […] He exterminated the spurious priests whom the kings of Judah had appointed and who offered sacrifice on the high places, in the towns of Judah and the neighborhood of Jerusalem; also those who offered sacrifice to Baal, to the sun, the moon, the constellations and the whole array of heaven” (2 Kings 23:4–5). It is ironic that Yahweh, originally a minor tribal god, should compete with the great Baal for the status of supreme God, as when Elijah challenges 450 prophets of Baal in a holocaust contest, which ends up with the slaughter of them all (1Kings 18). In ancient Syria, Baal Shamem, the “Heavenly Lord,” was identified as the God of Heaven and honored by all peoples except the Jews. The goddess Asherah, whom Yahweh loathed even more, was the Great Divine Mother worshipped throughout the Middle East. In Mesopotamia, she went under the name of Ishtar, while in the Hellenistic era, she was assimilated to the Egyptian goddess Isis. The Hebrews themselves called her “Queen of Heaven” and turned to her in times of trouble, to the dismay of their priest and prophet Jeremiah, who threatened them with Yahweh’s exterminating wrath (Jeremiah 44). “It is true, Yahweh, that the kings of Assyria have destroyed the nations, they have thrown their gods on the fire, for these were not gods but human artifacts—wood and stone—and hence they have destroyed them. But now, Yahweh our god, save us from his clutches, I beg you, and let all the kingdoms of the world know that you alone are God, Yahweh” (2 Kings 19:10–19). So here we witness how Yahweh was promoted from the status of a national god to that of universal God by the prayer of a devout king. In response to that prayer, according to the biblical story, “the angel of Yahweh went out and struck down a hundred and eighty-five thousand men in the Assyrian camp,” then struck their king by the hand of his sons (19:35–37). Pure fiction: the Assyrian annals tell us that in reality, Hezekiah paid tribute to the Assyrian king. Which proves that Hezekiah’s claim was deceptive. The exclusive monotheism demanded by Yahweh is a degraded imitation of that inclusive monotheism toward which all the wisdoms of the ancient world converged by affirming the fundamental unity of all gods. As Egyptologist Jan Assmann emphasizes, the polytheisms of the great civilizations were cosmotheisms, insofar as the gods, among other functions, form the organic body of the world. Such a conception naturally led to a form of inclusive or convergent monotheism, compatible with polytheism: all gods are one, as the cosmos is one. The notion of the unity of the divine realm naturally connects with the notion of a supreme God, creator of heaven and earth, enthroned atop a hierarchy of deities emanating from him—a concept familiar to Plato, Aristotle, Seneca, and most ancient philosophers. The exclusive and revolutionary monotheism that the Yahwist priests crafted for their own benefit is of a totally different kind: it is, in fact, the exact opposite of the inclusive and evolutionary monotheism of neighboring peoples. And so the paradoxical nature of Yahweh is, in reality, a deception. The idea that the Heavenly Father of humankind, somewhere in the second millennium BCE, chose a particular people and ordered them to dispossess and slaughter other peoples is, any way we look at it, an outrageous absurdity. The fact that billions of people have believed it for thousands of years makes no difference. Or rather, that is the problem: many peoples throughout history have believed themselves to have been chosen by God, but only the Jews have managed to convince others that they have. That has turned this outrageous absurdity into the most devastating idea in world history. The deceptive nature of biblical monotheism is the key to understanding traditional Jewish attitude to universalism. For the Jewish conception of God is reflected in the Jewish conception of Humanity. Just like their tribal god speaks of himself—through his prophets—as the God of humankind, Jewish communitarian thinkers speak of Jewishness as the essence of humanity: Judaism constitutes a “particularism that conditions universality” so that “there is an obvious equation between Israel and the Universal”; in other words, “Israel equals humanity” (Emmanuel Levinas, Difficult Freedom: Essays on Judaism, 1990). It is almost always in reference to their Jewishness that such opinion makers, who are often ardent Zionists, proclaim themselves universalists: see for example how Rabbi Joachim Prinz, a German Zionist who in 1934 had applauded the Nazi state for being “built upon the principle of the purity of nation and race,” declared in 1963, as chairman of the American Jewish Congress, that he supported the African-American civil rights movement “as a Jew.” “Jewish universalism” is a contradiction in terms and therefore necessarily deceptive. It is self-deception in the case of most Jews, who believe what they have been taught by their representative elites ever since the Haskalah: that there is no contradiction in being a tribalist at home and a universalist in the street—provided that, in each of their universalist stand, they do not lose sight of the important question: “Yes, but is it good for the Jews?” Of course, there are many remarkable exceptions: Jews who have broken through the mental “Jewish prison” (as Jewish journalist Jean Daniel calls it) to reach for some universal truths. I call it the genius of the escapee. Ultimately, the deceptive nature of both biblical monotheism and Jewish universalism is a key to unraveling the Zionist paradox: nationalism and internationalism go hand in hand in Israel’s destiny, because Israel is, fundamentally, a biblical and therefore universal project. For the Jewish cognitive elites who determine Jewish public opinion to a large extent, the New World Order is an ancient et eternal idea. It is Israel’s destiny carved in the Bible. It is inherent to Jewishness. Filed under: AngloZionist Empire, Bible, Gilad Atzmon, Herzl, Jerusalem, Jewish Deception, Jewish Power, Jewish tribalism, Jewishness, Jews Only, New World Ordder, Old Testament God, Zionism | Tagged: Neocons |	Comments Off on How Zionist is the New World Order? and How Biblical Is Zionism? Today, Zionism has shifted into a kind of meta-Zionism where the greatest number of the Israeli elite—including individuals with no stamped Israeli citizenship but a profound loyalty to the Jewish state—reside outside Israel. Some of them hold key positions in state administrations, particularly in the United States. As Gilad Atzmon remarks, “there is no geographical center to the Zionist endeavor. It is hard to determine where Zionist decisions are made”; “the Israelis colonize Palestine and the Jewish Diaspora is there to mobilize lobbies by recruiting international support.”The neoconservatives—“an intellectual movement in America to whose invention Jews can lay sole claim,” as correctly assessed the Jewish Daily Forward — are the most influential group of Diaspora Jews dedicated to Israel. They are no conservatives in the traditional sense, but rather crypto-Likudniks posturing as American patriots in order to align US foreign and military policies with the Greater Israel agenda—high-level sayanim, so to speak (read John Mearsheimer and Stephen Walt, The Israel Lobby and U.S. Foreign Policy, 2008). That is why Zionism was never an ordinary form of nationalism, nor can Israel ever be a “nation like others.” The paradoxical nature of Israel is best embodied by its founding father Ben-Gurion: a secular Jew who saw himself as a new Joshua, hoped for “the restoration of the kingdom of David and Solomon,” and prophesized that Jerusalem will be “the seat of the Supreme Court of Mankind, to settle all controversies among the federated continents, as prophesied by Isaiah.” Let us be fair and assume that Ben-Gurion was simply referring to Isaiah’s prophecy that “the Law will issue from Zion” and that Yahweh will “judge between the nations and arbitrate between many peoples” (2:3-4), not to the Second Isaiah’s prophecy that Israel “will feed on the wealth of nations” (61:6), and that nations who do not serve Israel “will be utterly destroyed” (60:12). Ben-Gurion’s vision lives on: a 2003 “Jerusalem Summit” attended by three acting Israeli ministers including Benjamin Netanyahu and many American neoconservatives including Richard Perle, affirmed that “one of the objectives of Israel’s divinely-inspired rebirth is to make it the center of the new unity of the nations, which will lead to an era of peace and prosperity, foretold by the Prophets.” Zionists have always been in love with the Bible. So is Yahweh God, or just the god of Israel? Why should we care? Well, let’s call it the Feuerbachan approach to the Jewish question. In his famous work The Essence of Christianity (1841), which was to influence greatly Karl Marx, Ludwig Feuerbach sees the universal God as “the deified and objectified spiritual essence of man”: theology is anthropology in disguise, and “The consciousness of God is the self-consciousness of man.” But if we regard the biblical Yahweh as a creation of Jews alone, rather than humanity at large, then we can consider him as a personification of the national character of the Jewish people—or, more correctly, a reflexion of the mentality of the Jewish elite who invented Yahweh.